The blues scale is great for not only blues, but also pop, rock and metal lead guitar playing. Today, we’ll look at what the blues scale is, how you can use it in your guitar playing, and a few licks you can play to give the scale a go. The b5 is sometimes referred to as the “blues note”. To play the blues scale, we simply add the b5 to the minor pentatonic scale. To create the 1st position of the blues scale. It is possible to add a second blues note to the first position of the blues scale. However, for the moment, we are only going to add one blues note to the first position. When we look at the other positions of this scale, we will find that they each have a blues note that fits. As a final note on position 1, when you are playing and improvising – you can play these scales however you want. For the remaining positions of the blues scale on guitar, we will follow the same process of identifying the p4 and p5 interval on the same string, and inserting the b5 between them. Easy! For the last three positions, I’ll just put the minor pentatonic scale and blues scale neck diagrams in for comparison. as a bend from one fret below. Important Distinction When playing the blues scale, our lick has to contain the blues note. If the lick does note contain the blues note, we are just playing a minor pentatonic scale. 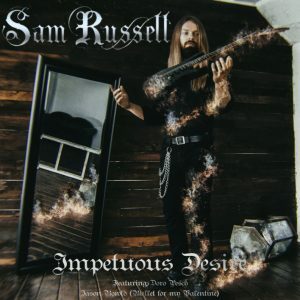 I previously wrote a method for learning scales on guitar that you can apply to this. 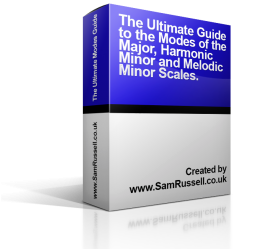 If you follow the method step by step, you’ll have these scales memorised in no time. Once you’ve learned the scales, you can have a got at improvising with them. 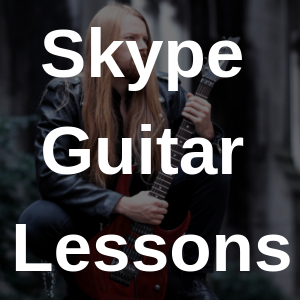 Once you have the hang of the blues scale, why not try out some neoclassical scales, or the hirajoshi scale on guitar? 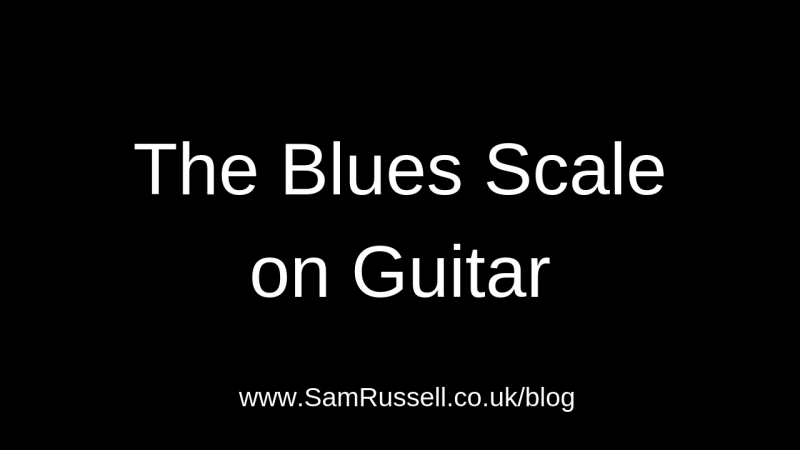 So there you have it – a guide to the blues scale on guitar. As we previously said, if you are familiar with your minor pentatonic scale, the blues scale should be easy for you! Have a go at the licks, write your own and have fun!